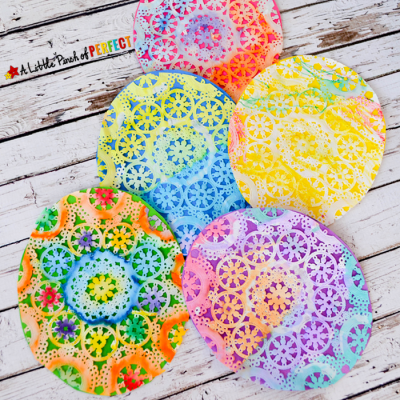 Doilies were originally made to cover furniture or plates but that’s definitely not why my kids couldn’t wait to get their hands on some after spotting them at the store. Now that Valentine’s Day is coming doilies are all over the place! 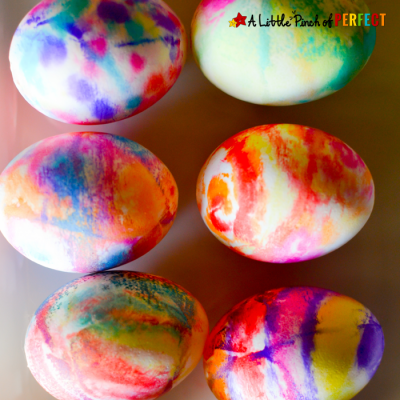 We just picked up 2 more packs from the dollar store because we can use them all year. 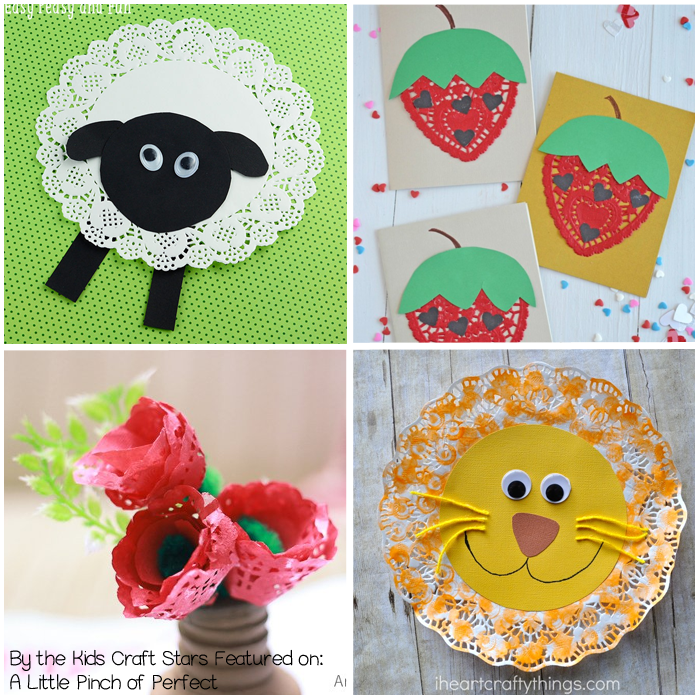 For example in spring we can make sheep and lions to go along with the saying, “In like a lion, out like a lamb,” and I have 8 more ideas already to share with you and the kids–so grab a doily and let’s get crafty :). 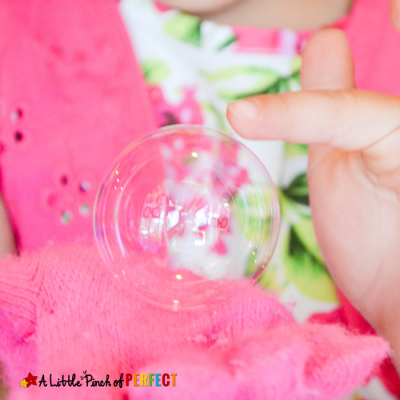 Before we get to all the crafts I must share with you the list of monthly challenges the Kids Craft Stars are taking on this year–doilies being the first on the list. 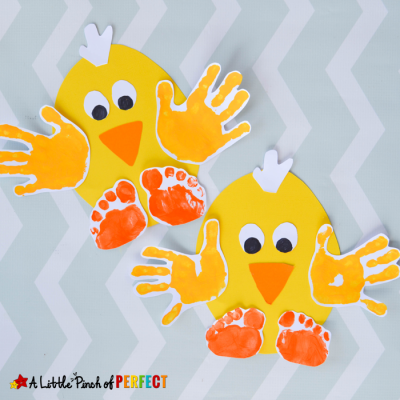 On each date all the members of the Kids Craft Stars will post a craft using the listed craft supply on their blog. 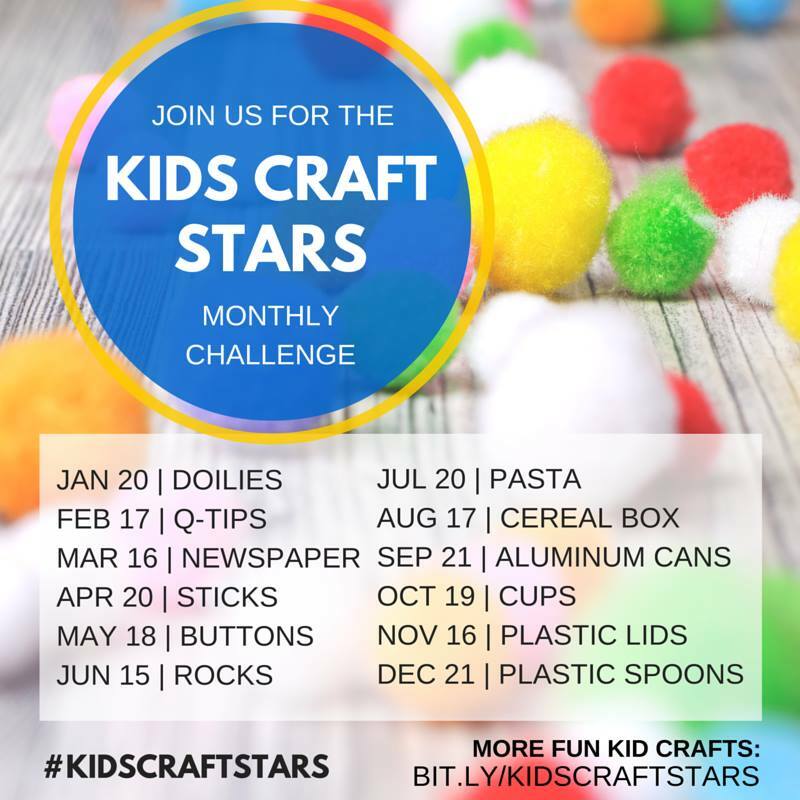 We would love it if you shared your craft using the item from the list on Instagram by tagging #kidscraftstars–can’t wait to see what you make!